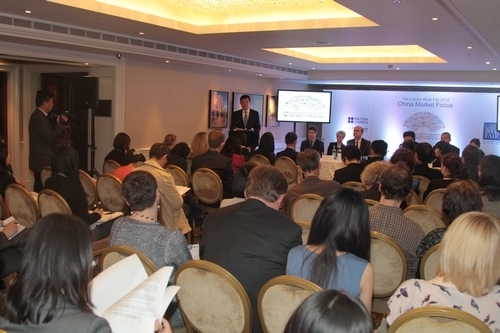 Welcome to this press conference on China Market Focus at the London Book Fair. For the past two thousand years and more China has always been a book rich culture. Indeed, the first printed book was made in China and today it can be seen in the British Library. So this history of books in China means that we very warmly welcome the London Book Fair. 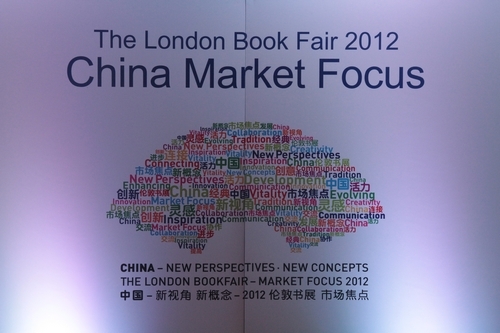 But even more so we are delighted China will be the market focus country at the London Book Fair this year. The London Book Fair is a global market place for the publishing industry with a history of 41 years. So as a guest China will showcase its publishing sector at the Book Fair with the theme of “New Perspectives and New Concepts”. As you know the dates are April 16th-18th for the London Book Fair with the main venue at Earls Court. There will also be related activities across London and around UK. I am happy to tell you that many authors, novelists, playwrights, journalists, artists, performers, agents and publishers will be coming from China to London for this Book Fair. Apart from that there will be Chinese leaders attending the opening ceremony and related activities. Chinese organizers are planning more than 300 activities covering culture, publishing, literature, art, education and economics. These activities will take place in diverse forms, such as high-level dialogue, publishers’ meetings, seminar for writers and researchers. In addition there will be exhibitions on books, literature and arts. The London Book Fair is the second largest annual international trade fair of copyrights. 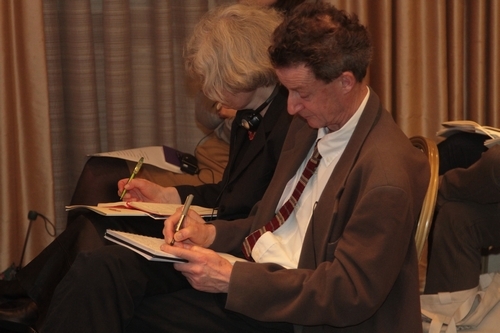 It brings together publishing professionals from around the world. So this China Market Focus event offers a rare opportunity. 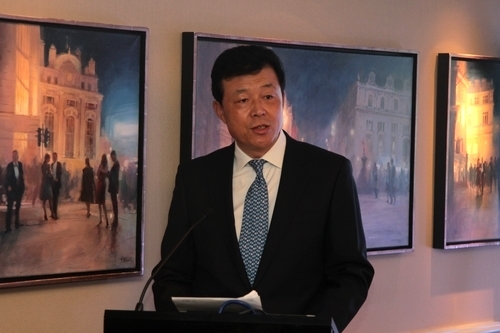 It will enable the Chinese publishing sector to interact with their counterparts in the UK and other countries. Representing China at the Book Fair will be a strong team – indeed it is very much a National Team. They will display the finest products of China’s publishing sector. They will introduce to the world the latest trends and developments in China. They will also take this opportunity to draw on useful experience from other countries. This will help China’s publishing sector with its go-global efforts. The China Market Focus at the London Book Fair has another objective. It is an important part of the series of events celebrating the 40th anniversary of the full diplomatic relations between China and the UK. · There has been growing political mutual trust. · There has been deepening cultural exchanges. This means China’s participation at the London Book Fair is also of much importance for the overall China-UK relationship. The China Market Focus at the London Book Fair is an important platform for presenting China’s achievements in culture and other fields. There is a need for the breadth and depth of China’s development to be better understood worldwide. On the one hand there is the need to grasp how China has grown into the second largest economy of the world within the past 30 years. But just as important is the need to communicate the richness of its culture. What we are doing now in China is to meet the ever rising cultural needs of our people. China aims to celebrate the richness of its thousands of years of history and culture. But at the same time create a China that keeps pace with a fast changing world. In this way I believe China will make an even greater contribution to world civilization. I warmly invite all of you to cover the China Market Focus at the London Book Fair. If you do this I have no doubt you will gain a better understanding of China. You will win a full grasp of the growing Chinese publishing sector. Through that you will observe a thriving Chinese culture and the progress on all fronts in today’s China. We will help you share your experience with the British public and people around the world. We look forward to working with you to increase mutual understanding and cooperation between China and the rest of the world from new perspectives and with new concepts. As this is the first time China is guest of honour at the London Book Fair I hope many new friendships are formed. Over time may the London Book Fair be the means to create many old friends.